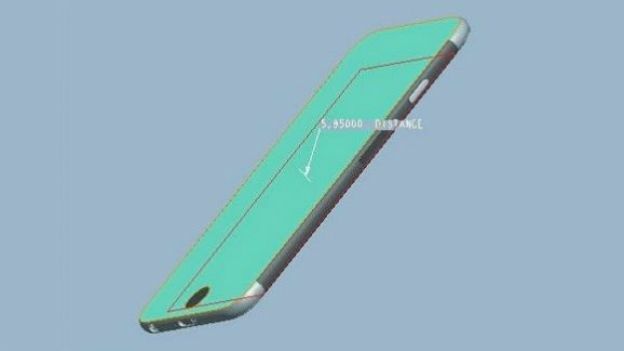 Alleged schematics of the iPhone 6 have leaked online revealing that Apple's next entry could follow the Android trend of moving the power button to the side. The leaked schematic renders show that Apple may be making a major design departure with the iPhone 6 by moving the power button to the side. The reason for this is the larger screen size on the flagship device, which is reportedly going to be 4.7-inches. Larger phones are more difficult to use with one hand, especially if the power/lock button is on the top. Apple has seemingly realised the problem and looks to have rectified it by moving it to the side. The design change could have been influenced by Android phones such as the Samsung Galaxy S5, which also has a power/lock button on the side due its hefty size. The iPhone 6 will reportedly look more like the iPod/iPad so it's no surprise that it has similar design cues such as an elongated volume button, round flash and rolled edges. According to AmongTech, the schematic renders came from a leak in Apple's supply chain at manufacturing facility Foxconn and were first spotted on Chinese site Wei Feng.